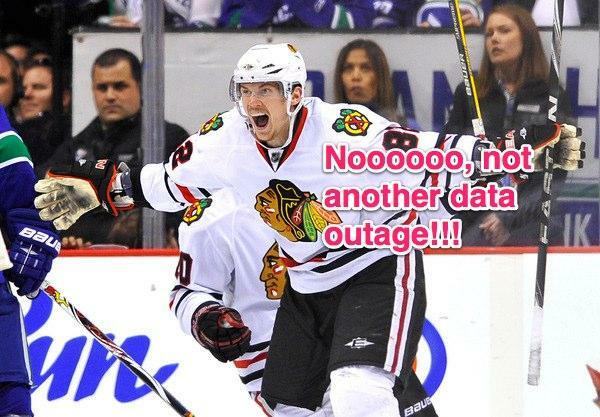 You are here: Home > Chicago Users Experiencing Data Outage Due To Power Outage? Chicago-area T-Mobile users just waking up are alerting us of a data outage currently underway in the Chicago area due to power outages. We’ve independently confirmed potential data and voice troubles through unofficial channels and are waiting to learn more details. Early morning comments on the blog indicate the trouble has been ongoing for several hours. The problem is said to be somewhat limited to areas that have been without power due to yesterday’s storms. We’ll update this post as soon as we get official word. So far texting works. I didn’t check my data yet. As far as I remember, there wasn’t a storm last night but the day before there was one. Here is Elmhurst I was without service for about 14 hours. Cell service was fine here once again. Rockford, IL. Rockford is beautiful this time of year! Around 24 hours without power in my Skokie neighborhood, but service (including data) was fine. Blame some towers that probably got hit and were running off backup generators. I’m from originally from Skokie. Haha! My service has been fine all day and I’ve been in Jefferson Park, Mayfair, Albany Park, and Old Irving Park. Yesterday I was in Villa Park and Elmhurst where they got hit really bad and still have no power, and I still had service. Works fine for me here in Chicago and I live Downtown. Maybe outside the city ppl are having issues. We had a couple of tornadoes in the suburbs and 80mph winds elsewhere so lots of stuff is messed up right now. Some of the suburbs have no power and it’s been 2 days already. The news said that it could take until Saturday or later for things to get up and running again. That said, I live in the city and my stuff is fine. It seems like it’s always the suburbs, not actually Chicago. We’ve had outages in Albuquerque for the past two days, too. You’re not alone…well, not for now, anyway. It’s only a matter of time before we switch to Verizon, and then you’ll be alone again. The coverage in boystown for the pride parade was horrible! When i was anywhere near halsted, i had no service. Not even 2g. None. Once i hit addison and went to broadway, i eventually got 2g service. No data. I couldn’t even get a text message through. I didn’t get data til i hit the near north side. But, i did notice a few people with their iphones on edge using at&t, so apparently they had issues too.